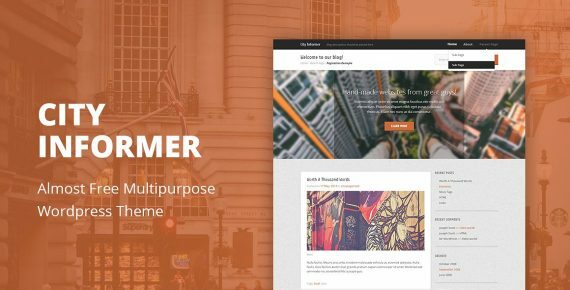 Create an extraordinary website with City Informer – a feature-rich, flexible and multipurpose theme that can be customized in several clicks. Create an extraordinary website with City Informer – a feature-rich, flexible and multipurpose theme that can be customized in several clicks. 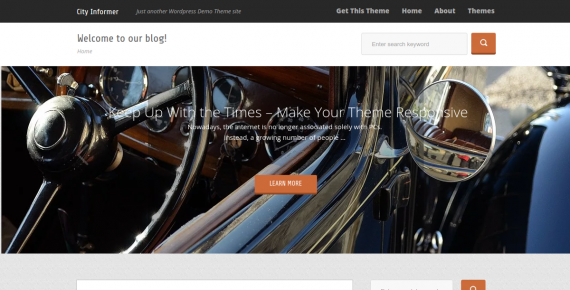 This theme can be compared to playdough – with a little creativity, you can make it appropriate for any type of website, be it Automotive services, Marketing news, Clothing industry or anything else. At the same time, City Informer is simple and discreet, so that readers will be able to focus on your site’s content – and enjoy the original design at the same time. 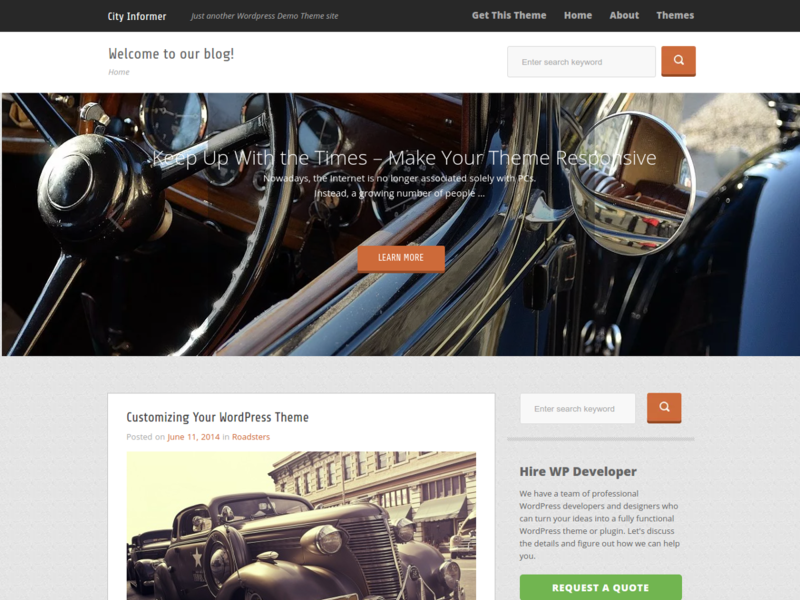 Furthermore, this theme is fully compatible with BestWebSoft plugins.